Konami is making a new Metal Gear. 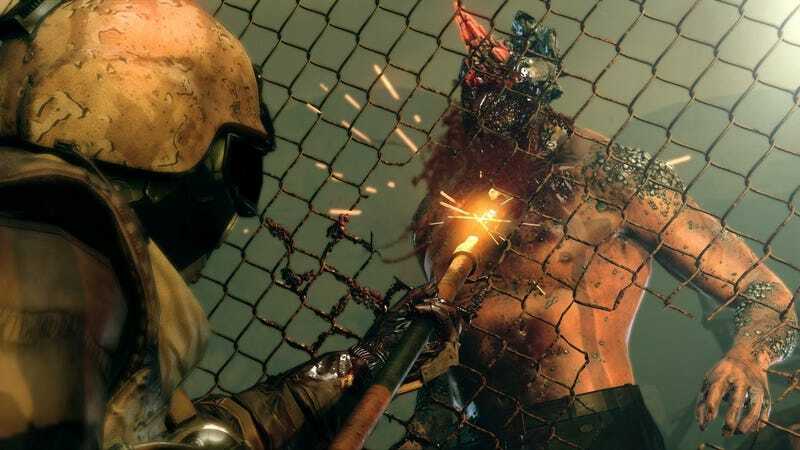 It’s called Metal Gear Survive and has zombies in it. This weekend at the Tokyo Game Show, Hideo Kojima briefly talked about the game and how he has nothing to do with it. During an audience Q&A, Kojima was asked if the rumor was true that Metal Gear Survive was his idea. Hideo Kojima left Konami late last year, set up his own studio, and is currently working on a new PS4 title called Death Stranding. “Then, what happens with the Famicom version without the bipedal weapon in it?” Kojima joked, mentioning the old port he also wasn’t involved with. Both Kojima and Shinkawa agreed that if there was no Metal Gear in Metal Gear, then those were games they had nothing to do with.